Horizons – the countdown begins. This time next week the department will be busy on Truro Plaza setting up the show. 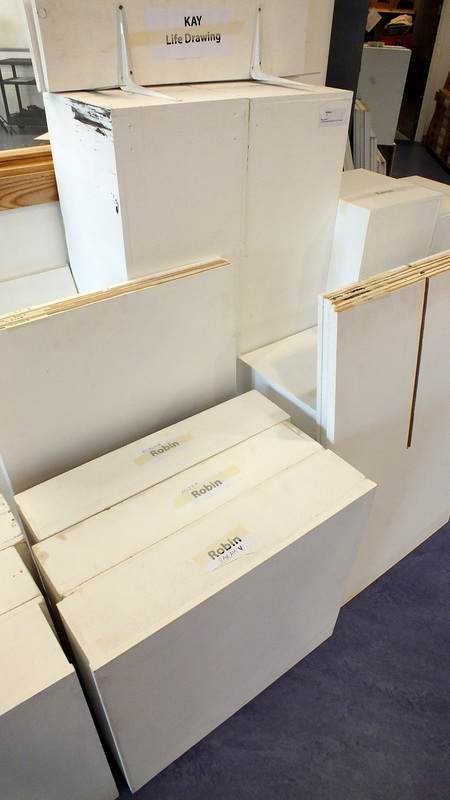 Preperation continues apace here at college with piles of plinths ready to go and artwork being readied for exhibition.